Fairfield- Donna J. Pestinger nee Meyer. Beloved wife of Richard L. Pestinger for 27 years. Devoted stepmother of Richard Lee Pestinger, Jr. and Lisa M. (Glenn A. Sr.) Schaefer. Cherished stepgrandmother of Cheyne Hoyt Keasler, Cary’e N. Parsons, Kaylee Reese Schaefer, and Glenn A. Schaefer, Jr. Loving sister of Kenneth William Meyer. Dear aunt of Jeffrey Paul Meyer, Timothy Andrew Meyer, and Jennifer Loretta Meyer. Donna passed away on April 1, 2018 at the age of 68 years after a 5 year bout with leukemia. Member of College Hill Presbyterian Church where she was a Deacon, sang in the choir and was Director & teacher at Treehouse Tutoring. 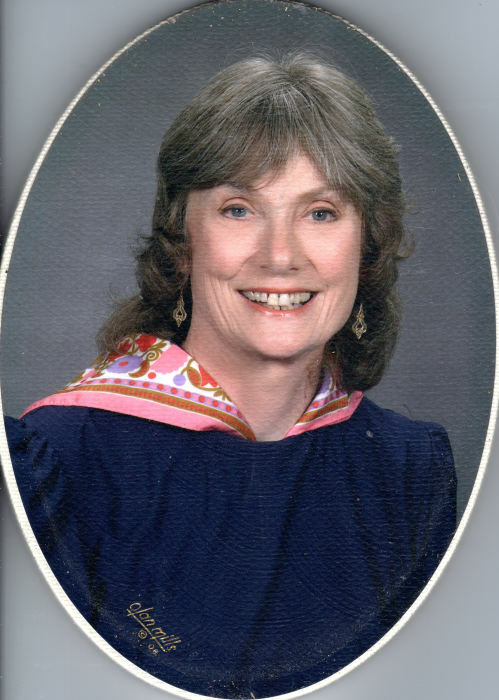 She was a primary education teacher, member of the National Honor Society and loved of the French language. A Memorial service will be held on Friday, April 6th at 2 PM at College Hill Presbyterian Church, 5742 Hamilton Ave., Cincinnati, OH 45224. Funeral services will be held in private. Interment at Spring Grove Cemetery. In lieu of flowers, memorial donations can be made to the Leukemia & Lymphoma Society or to Hospice of Hamilton. Online condolences can be made at www.paulyoungfuneralhome.com . Paul R. Young Funeral Home (Mt. Healthy) assisting the family.